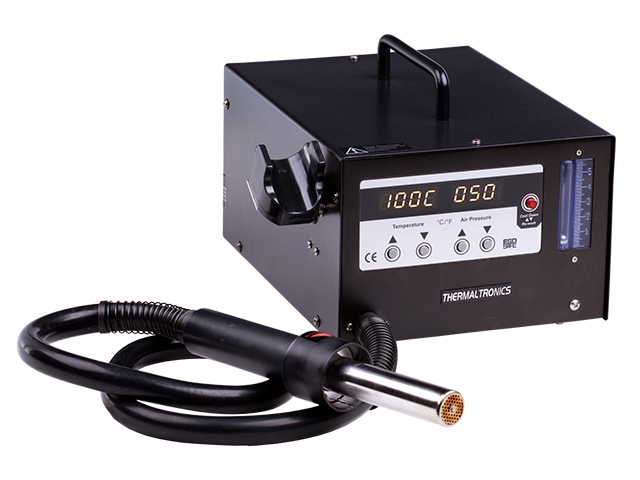 The TMT-HA series hot air soldering stations offer stepless adjustment of both temperature and air flow. Due to a wide range of temperatures and a set of nozzles in different sizes included in every kit, they are a perfect solution for SMD mounting and dismounting. Depending on the model, the stations offer 500W, 600W, or 1300W power, with air flow of 23l/min, 30l/min, or 35l/min. All stations were manufactured with the use of the ESD technology.